Roller Shutter Repairs Covering Kent, London, Sussex and Surrey. Do your industrial doors need to operate 24/7? Credit Account holders can benefit from a 24hr emergency service. Call outs incur a minimum charge but discounts are available. Check out our Service and Discount page for further details on how you can be eligable for discounts off call outs and repairs. We will endeavour to fix your door on the first visit, but if it is not possible to rectify the problem immediately your door will be made safe and a quotation for the required industrial door or roller shutter repairs will be provided. Please note that the first call out charge will still apply. Customers without a Credit Account in need of an emergency visit, will be required to pay in full on the day. 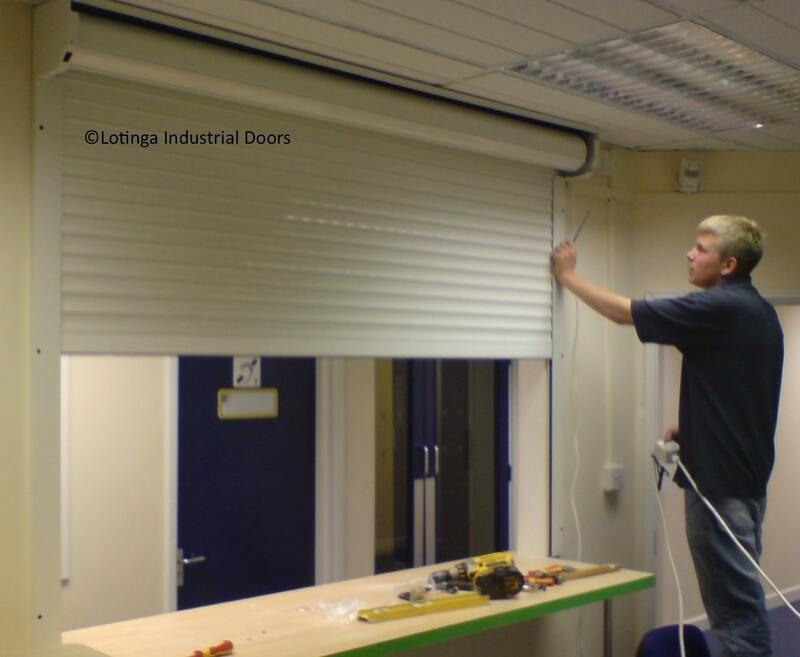 Lotinga stock most parts which means we can often carry out emergency industrial door or roller shutter repairs for you within a day or two (work load permitting). Classed as machines, industrial doors come under the Machinery Directive. Machines must be serviced at least once a year as per Health and Safety Law, as a result, industrial doors must be kept regularly maintained. We recommend six monthly inspections for larger doors or those used excessively in order to highlight any problems occurring, which could lead to costly repairs and door failure in the future, thus ensuring the smooth running of your security doors, the security of your premises and the safety of personnel operating them. A full Service Agreement Facility is available, where for a minimum 2 year agreement you will be eligible for discounts on all scheduled repairs and new installations. Alternatively servicing can be carried out on an individual one off basis but the above Agreement discounts will not apply. As a conseqence of the expense of traditional canvas high speed doors and the wish to maintain heat in a building, Lotinga designed a more cost effective solution, called the Eco-Strip Roller Door. 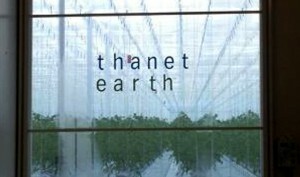 Our Eco-Strip Roller Door is a PVC strip curtain with a difference. It has the benefits of a standard PVC curtain, but additionally, the advantage of an electronically driven roller system, allowing the curtain to be raised and lowered when required. Designed for excessive use; it dramatically reduces draughts and temperature loss and at the same time optimise traffic flow. 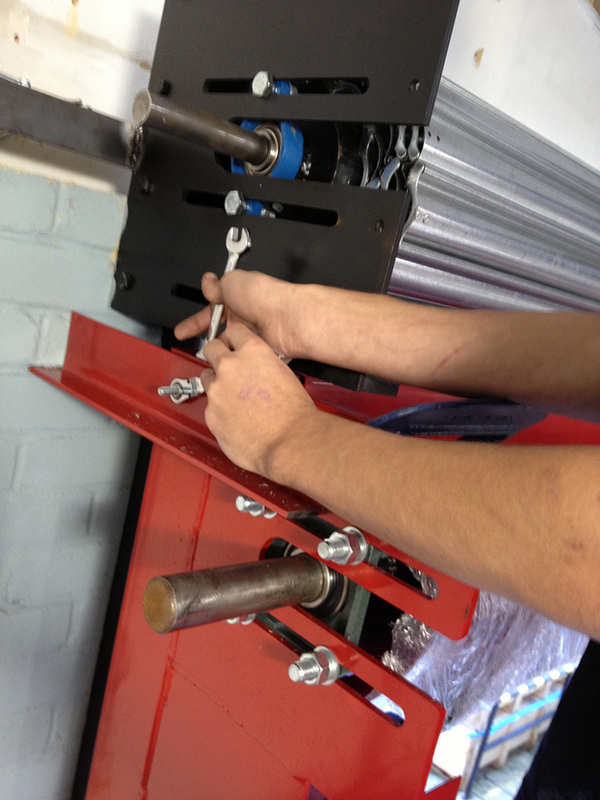 Manufacturing the Eco-Strip here in Kent, means we can carry out our Eco-Strip roller shutter repairs more cost effectively and quickly compared to traditional imported speed doors. Repairing A Door Is Not Always The Cheapest Option! Not necessarily the most cost effective option is to repair a roller shutter door. Sometimes the time taken to replace materials is either the same or more expensive. The staff at Lotinga will always advise of the most cost effective option for you and above all provide you with the best service. We are steel fabricators, as a result we are able to alter your opening to the size of your choice. Please refer to our Fabrication page for more information. From the initial consultation, Lotinga offers the whole package. Taking into account the exact specification you wish for your door; Lotinga can fabricate it and install it in a shorter time compared to those companies who have to buy their doors in. We can maintain it at competitive rates within our Servicing Packages. Lotinga strives to provide a high quality door, in addition, because we are manufacturers, we can work within a swift turnaround at competitive prices. Want to save money on call outs and scheduled repairs? Click on our Service and Discounts Page to find out how. Enter your details for a free quote. Discounts on all servicing and repairs!! 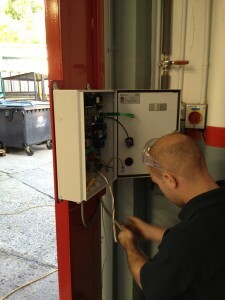 Ensure your Industrial Doors are in good, safe working order and help avoid any escalating costly repairs. Lotinga Industrial Doors is a family run business, whose main aim is to provide a friendly service by skilled engineers at competitive prices, across Kent and the South East. Up to 10% on all repairs when signing up to a Servicing Agreement. Keep up with the latest on Lotinga products and services.